Instantly revitalizes the skin giving it tone and firmness. The active ingredient Q10 improves the ability to absorb oxygen in the cells and vitamin C instead strengthens the connective tissue. 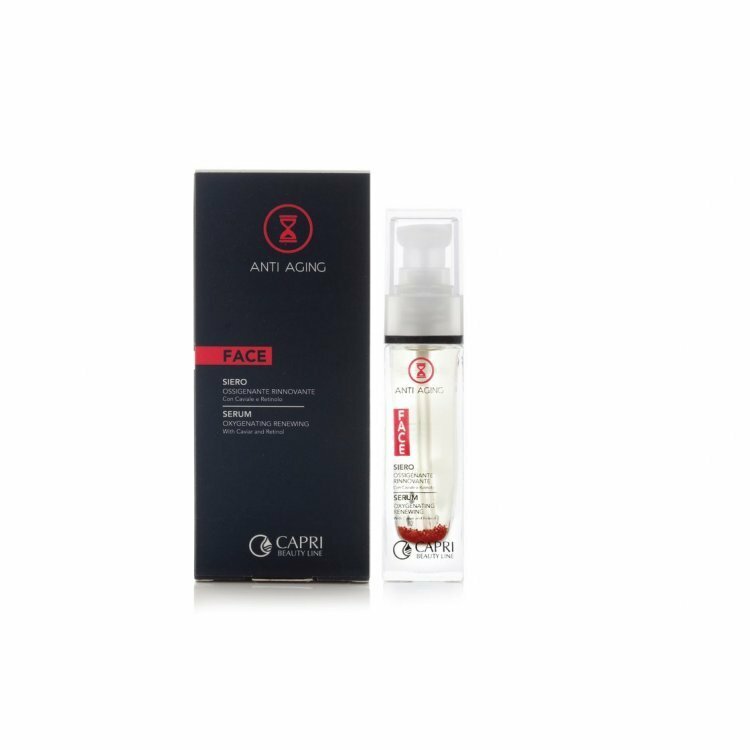 The anti-aging action of the product is guaranteed by the precious mix of substances in synergy, and the high concentration of active ingredients including Vitamin A, Vitamin E, Vitamin PP Microencapsulated, Caviar Extract, Red Grapevine EG, Hyaluronic Acid, NMF and Collagen. The serum is suitable for mature, dull skin of the face, neck and decolletage.